Digital marketing is all about reaching your target audience through various online methods to optimise your conversions. One of the best tools to help with your digital marketing campaign is to consider the sales funnel which is the process users need to go through before they convert. The trick is to use both search and interruption marketing to engage people at different points in the sales funnel so you get the best results possible. As an awesome digital advertising agency Perth, we know all about how you can harness search and interruption marketing to keep your sales funnel healthy. Let’s get started! 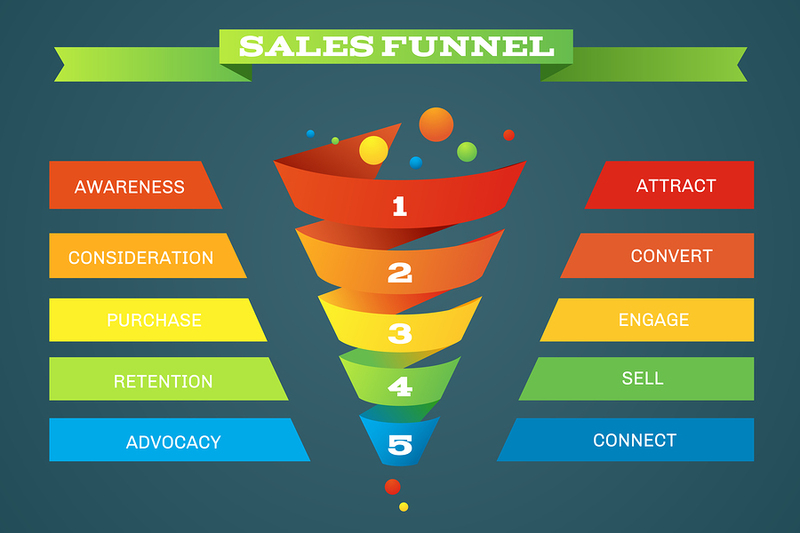 The sales funnel is a principle which can be applied to any aspect of marketing and is used to illiterate the various steps users need to take before completing the final action. The goal is to move people to the next stage so they move further down the funnel and closer to the those conversions. Awareness – Right at the top of the funnel it’s all about exposing potential customers to your business and getting them familiarised with your product or service. At this stage, the focus is on brand awareness and getting your name out there. Consideration – Once a potential customer is aware of your business and decides to take a closer look, the next stage is to get them to consider making a purchase or using your business. At this stage, the focus is creating an engaging website and compelling content to highlight what you have to offer. Decision – Awesome, your potential lead has decided that they’d like to use your service or purchase your product. Remember that the conversion hasn’t quite happened yet so you need to reinforce their decision at this stage with an easy checkout process, additional information and competitive pricing. Retention – At this final stage, the conversion has taken place and the potential lead is now a customer. Now’s the time to nurture the client relationship with follow up offers, email newsletters and reviews. You want to keep those repeat purchases going! Once you have an understanding of how the sales funnel works, you can tailor it specifically to your business. How are you going to build awareness for your specific brand? How will you create value for your client base? Think about how the sales funnel applies to your specific business. To keep your sales funnel healthy, the first thing you need to do is focus on the top. Without brand awareness, you could have everything else in place but you just won’t be getting the right amount of brand visibility which result in clicks to your website. When it comes to building your brand, interruption marketing, or outbound marketing, is a great way to get as many people as possible interested in your business. Interruption marketing does exactly what it sounds like – it interrupts users from what they’re doing and introduces them to your brand. Examples of interruption marketing include display advertising, social media advertisements and emails to purchased lists. The purpose of interruption marketing is to increase brand preference so users slowly become more familiar with your brand which in turn results in more specific searches for your business. Interruption marketing has a reputation at times for being too aggressive and off-putting to users. However, when done right it continues to be highly effective and there are numerous tools to target and tailor your interruption marketing campaign so it reaches the right audience at the right time. Along with interruption marketing to reach a wider audience who may not have otherwise come across your business, you also need to focus on search engine marketing or inbound marketing. Both interruption marketing and search marketing are designed to get the attention of users but while interruption actively reaches out to users, inbound marketing relies on users seeking more specific information. Examples of inbound marketing include search engine optimisation (SEO) so your business pops up with relevant search terms, informative and unique content which provides value to customers, pay per click advertising (PPC) connected to certain keywords, and engagement through social media channels. All of these inbound marketing strategies work to increase your visibility and credibility amongst similar business. Due to the focus on content, search engine marketing works effectively further down the funnel by engaging users once they find your business. Search vs interruption: which is better? So, which form of marketing should you focus on to increase your brand awareness and keep that flow happening down your sales funnel? Well, the truth is that it’s not a competition and the two actually work together to deliver the best results. Interruption marketing allows brand awareness to grow over time to a wider audience which leads to people associating your business with a particular product or service. Eventually, this can mean that users will type in more specific keywords related to your business rather than using more generic terms. Once they find your business, your search engine marketing adds value and provides the additional information users need to convert. Search engine marketing will also reach users who are using specific keyword related to your business. To grow your business effectively, have a robust digital marketing strategy in place with a combination of inbound and outbound marketing strategies. As always, test everything and use your analytics to ensure that your sales funnel gets the best results possible. It’s all about being smart with your sales funnel to grow your business! Dilate Digital can help with all things digital marketing Perth. We’ll get to know your business and develop a laser focussed digital strategy which really gets results. Whether you just need a point in the right direction or want us to take over the heavy lifting, we’re ready to get started! For support with your online marketing Perth, contact Dilate Digital today on 1300 345 283.